How important is Fluoride Treatment? Fluoride is a mineral that helps prevent tooth decay by blocking acid from the surface of teeth. Often, when we think about going to the dentist, a fluoride treatment is involved, and usually we accept the treatment without any debate. Unless our dentist explicitly explains its importance, the benefits of fluoride may not be common knowledge. The enamel layer of teeth goes through two processes: demineralization (loss of minerals) and remineralization (gain of minerals). Demineralization occurs when plaque and sugar-created acids attack tooth enamel and weaken the structure of the tooth. Too much demineralization can lead to tooth decay and gum disease. Remineralization prevents these issues by adding minerals to tooth enamel and this occurs by consuming foods and water that contain calcium, phosphate, and fluoride. Specifically, fluoride prevents tooth decay by helping the tooth resist the acid produced by bacteria and sugars. Starting at an early age, the active application of fluoride can help prevent acid production by building a wall that makes it very difficult for acids to climb over. As mentioned, fluoride is found in certain foods and water. It can also be directly applied by use of toothpastes and mouthwashes. A common way to receive fluoride is through a fluoride treatment during a scheduled dentist appointment. The fluoride treatments that dentists use have a higher level of fluoride than toothpastes or mouth rinses. Varnishes can be painted onto the teeth or teeth can be soaked in a foam solution for one to four minutes. Fluoride supplements are also available in the form of liquids or tablets and must be prescribed by your dentist. 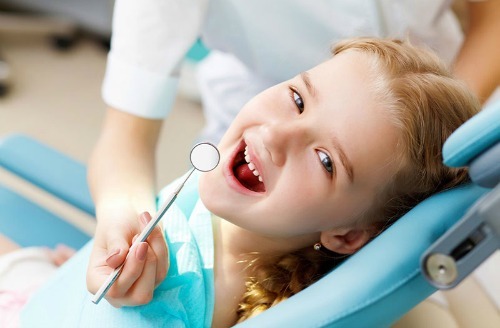 Children between 6 months and 16 years need to be exposed to fluoride during each dental visit, but fluoride application is important for adults as well. Likewise, people who suffer from certain dental conditions and who have a higher risk of tooth decay benefit from additional fluoride treatment. Those with dry mouth conditions, gum disease, or frequent cavities benefit from fluoride treatment. Those with crowns, bridges, or braces are also more likely to acquire tooth decay and are good candidates for additional fluoride treatment. During your bi-annual appointment, ask Dr. Thomas A. Simmons, your Plano dentist, if you could benefit from fluoride treatment.